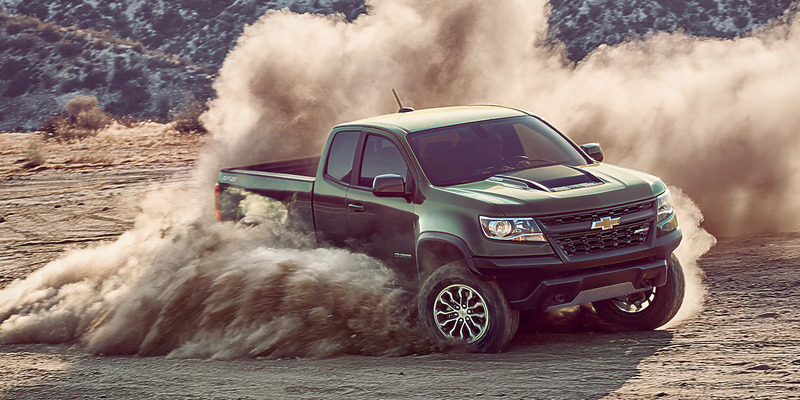 The Colorado ZR2 is a beast that you can take anywhere that you need to go. Its versatile wheel and motor setups allow you to own the streets or get down and dirty while you have some off-road fun. 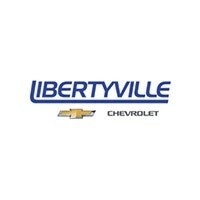 Libertyville Chevrolet serving Chicago Libertyville Illinois offers several of these 2018 Chevrolet vehicles with a variety of attributes. You can check out their inventory either in the store or out to see the choices that you have in front of you for 2018. The following are some of the features and positive points that the ZR2 has. Review it and then schedule your appointment at the dealership serving Chicago Libertyville Illinois today. 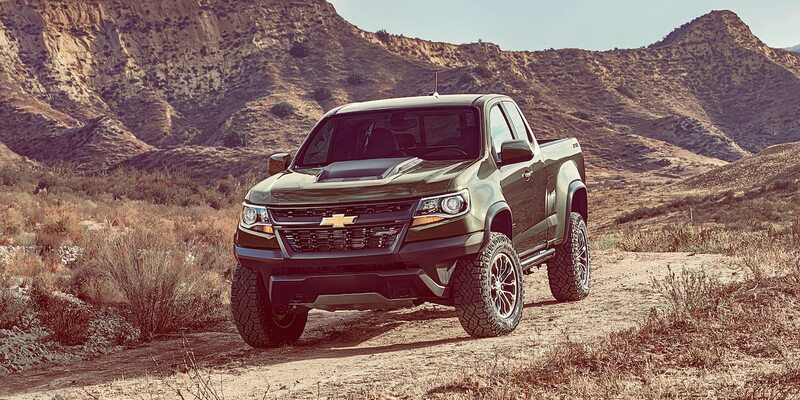 You don’t have to worry about a thing when you get behind the wheel of the 2018 Chevrolet Colorado ZR2 when it comes to safety. The manufacturer made sure that it filled this model with a plethora of features that would keep you as safe and sound as possible. The list of safety features is too extensive to elaborate on, but some of the features that you’ll have access to are features such as the Rear Vision Camera, Teen Driver Technology, Lane Departure Warning and Forward Collision Alert. The Lane Departure Warning is one of the most useful safety application because just about every driver has been in a situation where he or she has had to drive while tired. This system kindly alerts a person when the unit is moving out of the lane it’s supposed to be in. It helps the driver to stay in the zone and prevent accidents from occurring. The Teen Driver System is there to help new drivers see what they’re doing in terms of speed and driving precision. Libertyville Chevrolet has a lot full of many great 2018 models. The dealership serving Chicago Libertyville Illinois strives to keep an inventory of vehicles that Chicagoland residents will desire. Let’s start by talking about this model’s dazzling interior. 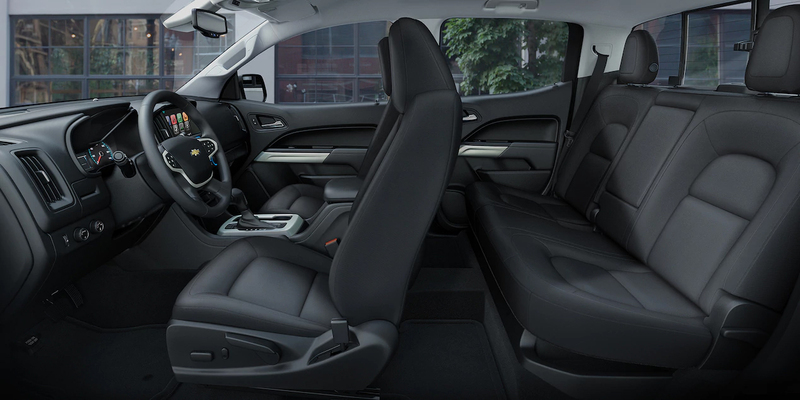 The interior is designed in a way that will make you feel proud to be a Colorado owner. You’ll also experience a lot of comfort inside of your cabin. What you’ll find especially nice is that the windshield is crafted to keep out the noise. While you may be intentionally taking a bumpy ride in Chicagoland, you won’t have to deal with hearing a bunch of noises on the inside. The center console is going to have plenty of space for you to store things if you want to do that, as well. You’ll have access to heated front seats and a host of gauges and controls that will help to make your experience completely enjoyable. Additionally, the Bose sound system will give you that high-end listening experience that you’re looking for in your music. The tech is all there, and it’s all for you. Not only do you have a variety of convenient features at your disposal, but also your passengers have a variety of options for entertainment. The truck comes equipped with 4G LTE Wi-Fi, Bluetooth, Android Auto, Apple CarPlay and more. The Wi-Fi connection allows you or your passengers to connect up to seven devices. It’s highly convenient features since work, school and life continue whether you are on the road or not. 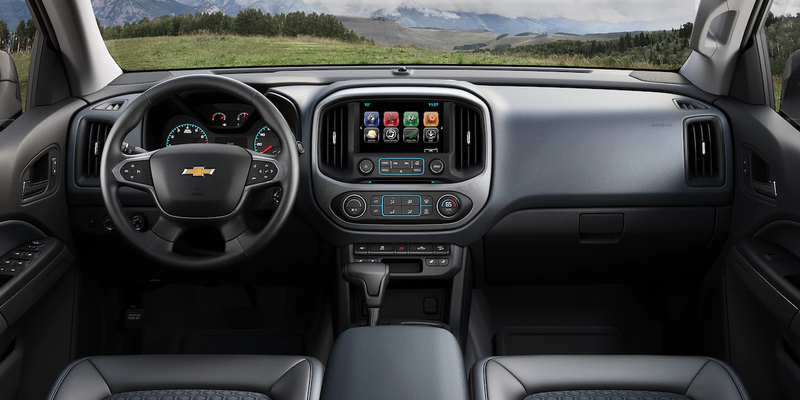 You’ll fully enjoy this assortment of features while you are inside of your Colorado living out your dreams. The powertrain options are lovely for this model. You can choose from the 2.5L I4 DI DOHC VVT engine option, the 3.6L V6 DI DOHC VVT engine options or the 2.8-Liter Duramax Diesel option. All of those options will give you plenty of power when you take your rides. Two-wheel drives and four-wheel drives are your choices, as well. Go ahead and personalize this vehicle so that you can have a blast with it. You deserve it. The exterior on this model is bold and beautiful. It’s contoured to give you a no-nonsense look, but it also has an elegant appeal to it. It’s hard to believe that tis model is equipped to go on some of the off-road missions that it can go on. Stop by the dealership and get a look at it on a personal level. 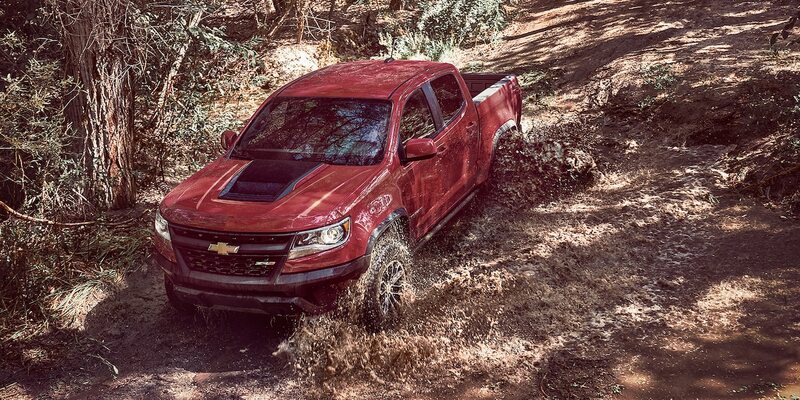 Are you ready to take the ZR2 on a quick haul down the street or a surprise mud run? Let your salesperson at the dealership knows that you want to see what this model is made of. He will take you on a 15-to-20 minute ride so that you can experience everything that it has to offer in an up close and personal manner. The two of you can then work out the negotiations and the financing kinks and come to a reasonable conclusion about what you’re going to pay. When it’s all said and done, you will hopefully get to take a set of keys and drive off into the sunset.